In comparison with other countries, the UK most certainly lives up to its name of a green and pleasant land. Here in Britain we are blessed with an abundance of greenery and have a strong reputation for our beautiful gardens. There are certain areas in the UK though that particularly stand out for their country scenery. Some of these places are famous and well visited for self catering holidays and short breaks whereas others are less well known and offer the opportunity for more peace and tranquillity. It is best to explore and appreciate Britain in spring and summer although the UK can also be picture perfect during snowy winters. Britain does get its fair share of showers and some rainy days but if it didn't then the UK wouldn't be quite so green. We do also tend to get some fantastic sunny days in summer, which can be just great for picnics and outdoor activities. Rustic retreats in the beautiful British countryside can be wonderful for relaxing holidays. Another good option for country holidays are rural country cottages. 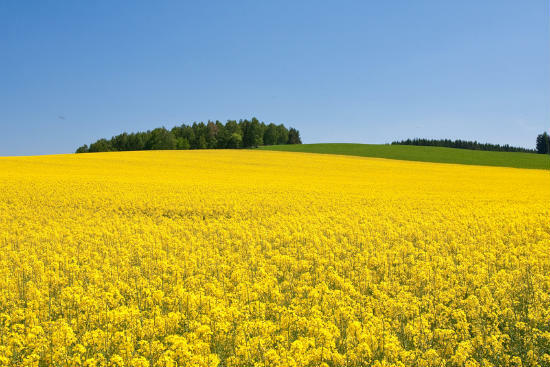 The Cotswolds- a dedicated area of outstanding natural beauty, located south of the Heart of England and covering parts of Oxfordshire, Gloucestershire, Wiltshire, Worcestershire and Warwickshire. By and large an affluent part of England, known for its distinctive mellow golden stone villages, English country gardens and for the many trees here. The New Forest - located in the south of England in Hampshire, the New Forest is a favourite for weekend breaks for Londoners seeking a retreat from their busy lives. In the New Forest there are forested areas, moorlands and a number of quaint villages with many tea shops and cafes. A charming feature of this part of England are the wild ponies that freely roam where they will. You are almost definately guaranteed to see several of these during a visit to the New Forest. East Anglia - Norfolk and Suffolk attract many on account of their beautiful rural appeal. Northern parts of Essex are equally as attractive. This part of the country is well located for short breaks for those living in the South East of England. 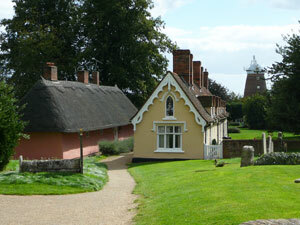 There are many interesting historical villages in East Anglia that are well worth visiting. Snowdonia in Wales is renowned for mountain scenery but also for its hilly rural landscape. Excellent opportunities exist in Snowdonia for rambling, hiking, cycling and more. There are also many tea shops for essential down time. Another part of Wales famous for amazing natural beauty is the Brecon Beacons national park. Scotland is a country not really known for its countryside per se, more for its awe inspiring landscape. The landscape in Scotland is very different to that of England and is known for its lochs, mountains and dramatic wild scenery. The most visited part of Scotland's countryside is no doubt the Highlands but the Highlands are really known for mountain scenery, forests and lochs. Country Clare in the mid west of Ireland is lush and very green. The Burren is particularly pretty. Also in this part of Ireland are the dramatic Cliffs of Moher. Bedfordshire, Hertfordshire, Oxfordshire and Buckinghamshire. There are a number of appealing historical villages nestled near the Chiltern hills. A weekend cottage holiday in the Chilterns makes for a wonderful rural escape; ride bikes through the beech forests, visit attractive villages, open gardens and stately homes. Leicestershire - For many people when they think about spending time in a quiet rural area they won't necessarily be aware of all that Leicestershire has to offer. Leicestershire is an area with an appealing agricultural landscape and a feel of old england. Head for the quieter parts of the Leicestershire countryside and you should feel like you have stepped back in time to times where the pace of life was very relaxed. Shropshire and Herefordshire - In this part of England, you are getting towards Wales and a much more sedate pace of life. Traditional English countryside abounds here. Enjoy spotting dragonflies, birds and more. Aberdeenshire - Not many travel all the way up to Aberdeenshire in Scotland but those that do are rewarded with miles and miles of country roads and rural views. Aberdeenshire is also home to Royal Deeside and has an amazing coastline which varies from sandy beaches to high cliffs. If you are seeking some peace and a chance to recharge your batteries, the pace of life in Aberdeenshire can be soothing for the soul. Know of somewhere in Wales or Ireland that not everyone knows about that you would recommend to others? Do email us and let us have your recommendations. There are a good number of gardens with impressive blooms throughout the UK. A number of these gardens can be found at National Trust properties where many large country houses have grand grounds that you can enjoy visiting. There are also a number of privately owned gardens, some of which can be visited for a fee. There are some truly fantastic arboretums in England and the majority of these are privately owned. Luckily though most of the natural beauty in the UK such as national parks and areas of outstanding natural beauty can be visited for free.